1974 might mark the end of the P.I. model for crime fiction begun by Chandler and Hammett, and followed by dozens of post-war writers. Elmore Leonard published his first urban crime fiction novel, 52 Pick-Up, in '74, and that started a whole new genre of gritty crime writing that's still with us. I think the urban crime wave that become such a hot topic in the early 1970s finally found its way into crime writing, and chased away all those stories about "wandering daughter" jobs. Cary makes a good point. Leonard's SWAG is almost a comic-caper. But there was a cultural turning point in the early seventies when the boomers left the campus and entered the workforce. The author claims this was the beginning of the culture wars. And Robert B. Parker, who sometimes gets credit for revitalizing the P.I. novel, published his first two novels in 1973 and 1974. I'm not sure what his innovations were, possibly both expanding the narrative focus to a wider world of contemporary social problems, and contracting it to the protagonist's problematic personal life. Cary: Interesting you should have chosen the opening line of Hammett's "Fly Paper" as an example of the kind of story pushed out of fashion in the early 1970s. The family was the focus of a lot of hard-boiled crime writing in the middle of the twentieth century, and not just by those female writers that Sarah Weinman is helping us rediscover. It does not take a great deal of imagination to guess that, perhaps, the 1930s through, say, the 1950s were a time of anxiety about traditional families and that said families and finally blown apart by the 1970s, so there was no reason to keep writing about them (though some Scandinavian crime writers seem just to be discovering domestic subjects now). The 1970's were also the incubator for some of the reality based Vietnam fiction. I remember how claustrophobic I felt reading Michael Connelly's The Black Echo when Harry Bosch was in the tunnels. These books are a window into the horrors of war. Even today Lee Child is dumping bodies out of helicopters over the desert in order to extract information just like in Vietnam. Mary Beth, I had not thought about Vietnam and crime fiction, but you could be right. The returned Vietnam vet became a new sort of crime fiction character, one that, however, could fit nicely into the earlier tradition of alienated crime fiction protagonists. Don Pendleton's Executioner novels began appearing in 1973, for example, and the first of Max Allan Collins' Quarry novels appeared in 1976. I should have credited Michael Collins with revitalizing the PI novel, and appropriately a few years before Parker. Appropriately, for Collins set out at the very time when Western societies, the US perhaps most of all, were in turmoil, and Collins proved himself more interested in the societal context of crime and of his characters. The trend of examining the issues current in society has continued and only strengthened, most of all in the European School, and most markedly there in Scandinavia. The latter I think means we must also nod toward Wahloo and Sojall, themselves debuting a couple of years before Collins. The inverted crime novel had been around for most of the 20th century, but Ruth Rendell's astonishing A Judgement in Stone of 1977 was, I do think, the most startling example since Anthony Berkeley and started something of a renewed trend itself, a timely one, for the whydunnit took its place firmly beside the whodunnit and howdunnit, and the whydunnit meshed well with the sociological approach of Collins and those who followed. Baker and Nietzel point out a popular phenomenon that began with Collins's first book: "Act of Fear ... inspired the by-now monotonous chant by critics about each new hard-boiled author being 'the best since Hammett,' 'the new Chandler,' and 'the heir to Ross Macdonald.' Fortune enjoys a senior status among modern private eyes" predating Lawrence Block, Robert Parker, Elmore Leonard, Joseph Hansen, Joe Gores, Michael Lewin, and Bill Pronzini." I believe Westlake would say their innovations were primarily stylistic, not story-based. They were still telling the same stories that had already been told many times over, only updated for the times. Not all detective stories were about 'wandering daughters' back then. And plenty of them are now. It really has all been done before. But a lot has been forgotten. Westlake himself had in the 60's and early 70's written fascinating private eye novels about Mitch Tobin, a disgraced former New York City cop battling depression, who never got a PI license, but to support his family would occasionally investigate cases for certain parties, then go back to building a brick wall in his backyard. In many ways he anticipated his friend Lawrence Block's Matthew Scudder novels with this series. Just an attempt to get past the gumshoe stereotypes--Tobin is dark and tortured, but not what you'd call glamorous--they were going to turn one of the novels into a movie with Robert Mitchum, but it didn't pan out. I've read some of the Scudders, and liked them, but I don't think they're as good. They're a lot better known, however. A more appealing fantasy. Scudder better fits our idea of what a PI does, even though he's technically not one. Westlake wrote five Tobin novels under the name Tucker Coe, then retired the character for good, because he felt like he'd told all the stories he could tell about Tobin without either 'fixing' the character, or else making him into a cliche. He had Dortmunder by then, a less complicated character, who he could build an ensemble around. Westlake was always very critical of genre fiction as a whole, even though almost everything he wrote was in some genre or other--he set a pretty high bar, for himself and others--you entertain others, while challenging yourself--it's so easy to get into a rut and stay there. I think his comments ring true to this day--the mystery field is still popular, but it simply isn't as powerful, compelling, or original as it once was--and honestly, sometimes I feel that way about the novel itself a lot of the time, but I can't read everything. Dashiell Hammett has a Library of America compilation--anybody think that's going to happen with Robert B. Parker? Might not even happen for Donald E. Westlake. It's become too much about the formula, and not enough about personal experience. You can sell a lot of books that way, but after a while, that becomes all there is to it. I've discovered some truly unique writers in this field--Himes, Thompson, Goodis--writers who transcended the genre they were in, and (if we're honest) had a certain contempt for it--they were always aiming higher, but the genre gave them a structure to work in--and rebel against. I read the contemporary stuff now and again, and it leaves me cold. Maybe I'm not reading the right books. I'm working on a Quarry novel, so my comments have to be brief -- this is worth a lengthy easy. Don was indeed a mentor of mine and during the '70s I heard him express these various opinions, anti-PI novels and so on. He was articulate and sharp on these subjects, but he wasn't always right, in my opinion. I remember him being dismissive of the Leone westerns, for example. He came to have great contempt for PI novels and worked very hard to get me not to make Nathan Heller a PI in TRUE DETECTIVE (1983). That was the end his mentorship because I did not listen. Heller has gone to win awards, survive decades (the next Heller will be out in 2016) and I'm about to write a Heller pilot for FX. Times change, tastes change, but a certain kind of strong protagonist in a dark setting endures. I began by writing "crook books" very influenced by Don, in part because I figured the private eye was played out. The Bogart trenchcoat and fedora, bottle in the bottom drawer, figure seemed very out of date. Cop novels also seemed wrong, since to me cops were just guys with sticks clubbing my friends over the head at the '68 Demo convention in Chicago. Created in 1971, Quarry, as a damaged-goods Vietnam vet become hitman, was my way of doing a tough guy protagonist that spoke of my generation. But I had trained to be a PI writer and strove to find a new way to do, which for me was to take him back to his roots and write historical novels about real crimes of the '30s, '40s and '50s. Robert B. Parker and Sara Paretsky and Sue Grafton found a way to effectively (commercially) do PI again; and so did Cannell on ROCKFORD FILES, and frankly so did I with the Ms. Tree comic-book character, created in the '80s with artist Terry Beatty. I was wrong that the modernday PI was played out. So was Don. I don't know about the dateline, but I have a theory about the changes to crime fiction in the closing decades of the 20th century: writers found themselves dealing with (1) exponentially growing TV and movie competition, and (2) changes in publishing world (especially movements away from original paperback publishing and to more hardcover publishing). But it is simply a theory. Crime fiction in England was in a pretty boring place for much of the 60s and 70s. Things started to get interesting again in the 80s I felt as the influence of American crime fiction and higher standards generally began to be enforced. You could be right. I wonder if television replaced paperback originals as the principal source of inexpensive or free crime fiction in the 1960s. I suspect that, say, Columbo, is better known than Ross Thomas. Was the best crime fiction being written for television for a while there? Max Allan Collins is free to weigh in when he finishes writing his new Quarry novel. In the meantime, I will suggest Roy Huggins, whom I learned about through Collins, as possible evidence that this may be the case. Adrian, where do Ted Lewis and Derek Raymond figure into your collection? They are devoutly admired today, but how influential were they when their books first appeared? As far as I can tell, Lewis' innovation lay in making his villains human without making them any less villainous. Raymond is not as easy to categorize, I think. Max: This topic is, indeed, worth a lengthy essay. A Bouchercon panel, too. As anyone who has attended a crime fiction convention knows, panels on the death of the P.I. novel have been around almost as long as the P.I. novel itself. If Westlake could read your comment, he might suggest that your decision to set the Heller series in the past supported his contention that the P.I. novel had no present. 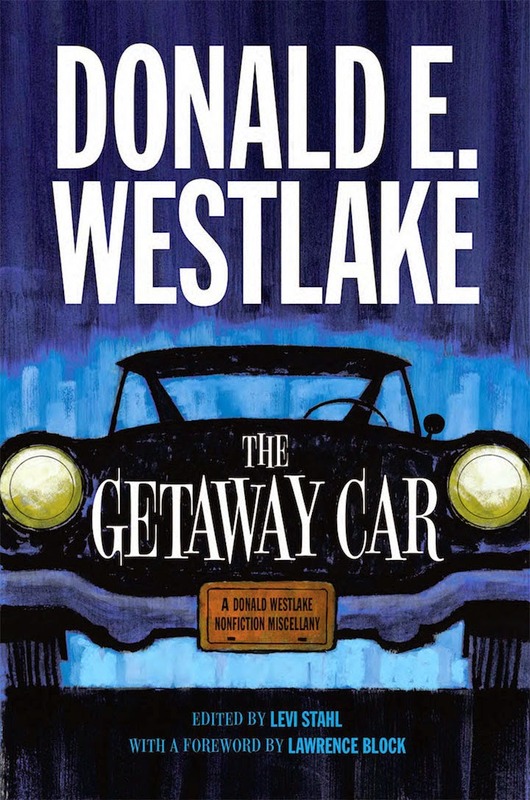 In any case, Westlake was a working writer, not an academic surveying the field of crime fiction. I suspect that his pronouncements about the state of the genre ought to be taken at least partly as expressions of his own artistic frustration. And yes, he was sharp and articulate on many subjects. I’m glad that both you and he found worthwhile ways to fill your writing hours when not writing P.I. novels. Chris: I read one of the Mitch Tobin novels, and I liked it less than I do, say, “Walking Around Money” or The Score. I thought the wall too obvious a metaphor and too obvious and too strained an effort at seriousness. One can salute Westlake’s ambition in trying to break free of genre conventions while not always admiring the result. I think Mitchum would have brought the right brooding presence to the role. Perhaps Westlake did his best work when chafing at the restraints of convention rather than breaking through them. I don’t know that the next great innovation in crime fiction will be. Perhaps crime fiction is an a period something like Late Antiquity: not really yielding anything new, but rather devoting worthwhile attention to aspects of the past it might previously have ignored. I think, for example, of some of the mid-century female crime writers Sarah Weinman has been rediscovering and collecting in anthologies. I have read work by Charlotte Armstrong and Elizabeth Sanxay Holding in the past year that is exciting both for its differences from and kinship with what, say, Chandler was writing at the time. I think you're on to something here with the idea of this age being a time of revisiting otherwise forgotten books of the past. I learned from Martin Edwards' blog that a line of books called British Library Crime Classics has been very successful, with a surprise hit this Christmas with a book called Mystery in White: a Christmas Crime Story which was originally written in 1937 by J. Jefferson Farjeon. That one has been their banner book, but their series as a whole seems to be attracting a lot of interest. I do think Ireland has the ball and is running with it. Or maybe hurling it. I wouldn't describe Rendell as cozy, though. Darker than many, even without the gore. I was too young to remember the impact of the film of Get Carter but by the time is was being shown on TV in the 1980's it was very much a culty period piece. Maybe book and film had a big impact at the time? I do remember the 80s bookshops were filled with cozies, Rendell, James and Frederick Forsyth type thrillers. Urban crime, procedurals etc. were only to be found in their American forms (Ed McBain was huge). Maybe in speciality mystery stores you could find British versions but not in WH Smiths etc. British crime fiction didnt get so diverse and interesting until the 1990s and it took Ireland another 10 years after that to catch on...When did No Alibis open? 1992? No Rendell and James had their moments. Lynda La Plante's Prime Suspect kicked in a lot of doors too. Lynda La Plante probably did more for feminism in Britain than Germaine Greer, Shirley Williams and Maggie Thatcher put together. Well, I'd agree on all counts. I'm just saying that their sensibilities weren't of the cozy variety. But maybe I read your sentence wrong. I have nothing against cozies, by the way, although they had better be pretty damn clever. Late to the party -- that's me . . .
With respect to setting as character, I suppose I could think of dozens of great examples; however, three of my favorites come instantly to mind: Indridason's Iceland, Camilleri's Sicily, and Dexter's Oxford. In other words, it is impossible to think of their novels without the "mood" of the settings. Seana, I had not known about that line; thanks. Here, too, any number of publishers are reissuing classic crime fiction, Mysterious Press, 280 Steps, and Stark House Press among them, not to mention the off phenomenon of a series of reissues that has itself become an object of fond recollection: Black Lizard. And I hope to offer a second edition of the Beyond Chandler, Hammett, and Spillane panel at Bouchercon in 2015. I realize as I read in preparation for the panels that our knowledge of crime fiction's past may be deep, but it is narrow. Reassessing and discovering lesser-known books of the best may be more worthwhile than worrying about and slavering after originality. Seana: Ireland is certainly one of the sources of exciting new crime writing these days. The one Rendell novel I've read was chilling, heavily psychological, and domestic. And, I have learned from my reading of the past year, domestic need not mean cozy. Aha! Seana, It appears that "Rendell" and "cozies" were part of a series that also included "Forsuth-type thrillers. I would not want to accuse someone of accusing Rendell of being cozy. R.T., even such a critic as Clive James had said much the same about Camilleri. James is not always right about crime fiction, but he is right about Camilleri. Finding and keeping track of publishers who are putting out new editions of classic Golden Age novels is important. I received today a soft cover edition of Anthony Berkeley's justly famous The Poisoned Chocolates Case. Very high production values from The Langtail Press. That is now sitting next to a fine soft cover edition of Michael Innes' classic Hamlet, Revenge! from The House of Stratus. Soft cover, not paperback, and very classy. Perhaps a useful tip for serious searchers of these Golden Age gems. Publishers of Large Print book publish a lot of them, I suspect because the profit margins of LP publishers are small and these works are out of copyright. I just speculate there. But I recently found LP editions of works by V.C. Clinton-Baddeley and, very important, by Celia Fremlin, who wrote singularly fine novels, often domestic but much more noirish than cosy. She should be sought out and, I rather think, added to one or two of those groups of writers discussed at Boucheron as a woman novelist of often very disturbing works. And there are so many more. Barzun and Taylor are frankly idiosyncratic in their assessments of the books they read over half a century, but their Catalogue of Crime is a fine source of writers rarely or never mentioned today, but crime novelists of the first water. All right, then, Seana. Consider Hamlet, Revenge! added to my list. Philip, I have not read Celia Fremlin, but Troubled Daughters, Twisted Wives includes one of her stories. That story closes the collection, so I suspect it's a good one. Maybe I'll read it next. I'll also keep her in mind for future Bouchercon panels. Thanks for the reference suggestions. And, with respect to the (low) cost of publishing, one of the few saving graces of e-books is that they make available older crime novels, some of them classics, that might otherwise be lost. Adrian, I don't know when our bald friend David opened No Alibis, but I like your statement about Lynda LaPlante and will keep it in mind. Peter, Fremlin put out 18 books, including three books of short stories. But it was the first, The Hours Before Dawn, that won the Edgar in 1960. That was republished by Virago some time back, but the great news is that Faber is issuing new editions of all her books in the Faber Finds series -- another source of forgotten classics to keep an eye on. Read Hours before Dawn and you'll be in no doubt why it won that Edgar, nor why she is so highly lauded by crime writers now. 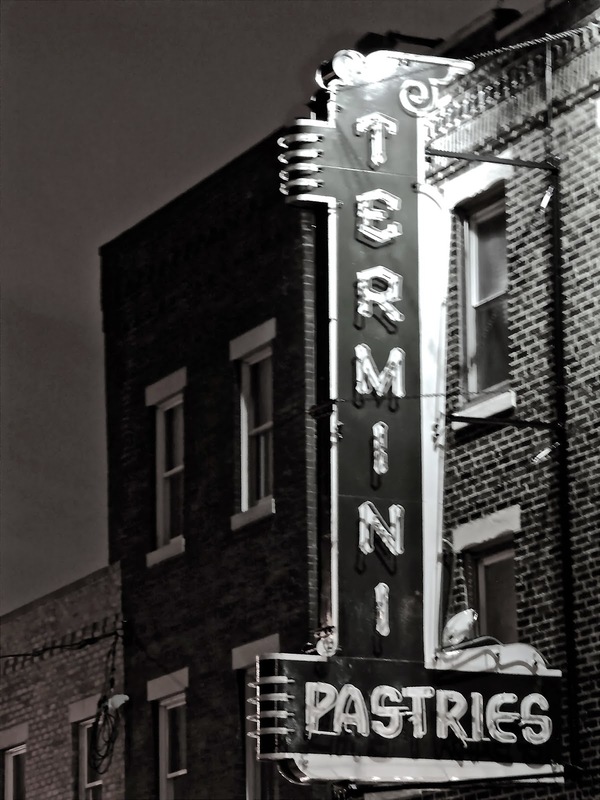 One called her England's Patricia Highsmith, but Fremlin was a ground-breaker and I think the better of the two. It just popped into my mind that about 14 years earlier there emerged a writer, though male this time, whose too-small oeuvre was flat-out startling and who for a dead cert influenced Highsmith: John Franklin Bardin. I'd be interested in any thoughts about where he fits into all this. A caveat here: Bardin wrote a number of other novels, but just three, published between 1946 and 1948, are of interest here: The Deadly Percheron; The Last of Philip Banter, and Devil Take the Blue-Tail Fly. Happily, they were collected in Penguin's The John Franklin Bardin Omnibus, with a marvelous introduction by Julian Symons. The last of the trio is generally considered the finest, certainly by Symons. I think it a bit ridiculous that a writer way ahead of his time, an author of three works deeply psychological (and psychiatric) in nature, is still largely unknown. It's a bit like having a discussion about the history of aviation without mentioning the Wright brothers. Nice reminder about Bardin. I somehow latched on to that trilogy when it came out, although I have no idea how that happened as I wasn't up on classic crime in any sense. I do remember liking it but I don't know if I read all three stories or not. It has been quite a long time now. Philip, the Fremlin story that closes Trobled Daughters, Twisted Wives is "A Case of Maximum Need." The opening story is Highsmith's "The Heroine." And I have The John Franklin Bardin Omnibus around the house. I shall try to read at least the last of the three novels before Bouchercon. Seana, I think Bardin was recommended to me by Allan Guthrie, who knows his classic dark crime fiction.